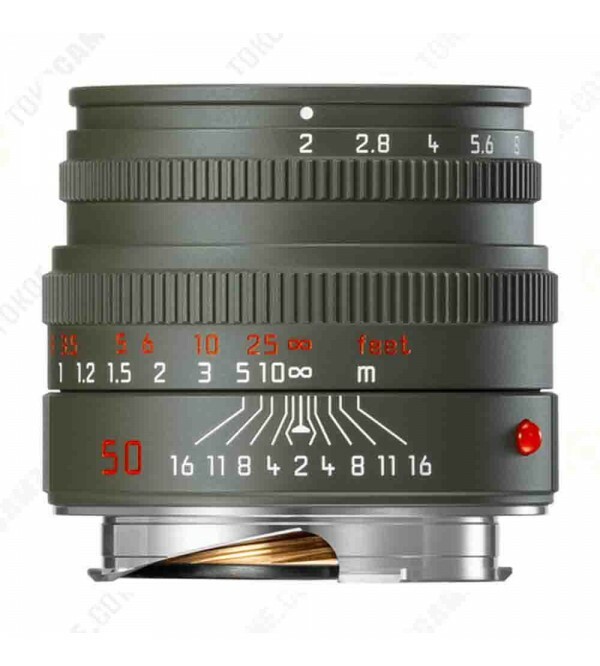 The first Leica lens to receive their distinct olive green finish, the Summicron-M 50mm f/2 Edition 'Safari' is reminiscent of of the Safari camera legacy, characterized by its green baked enamel finish, and available in a limited edition of 500 units. 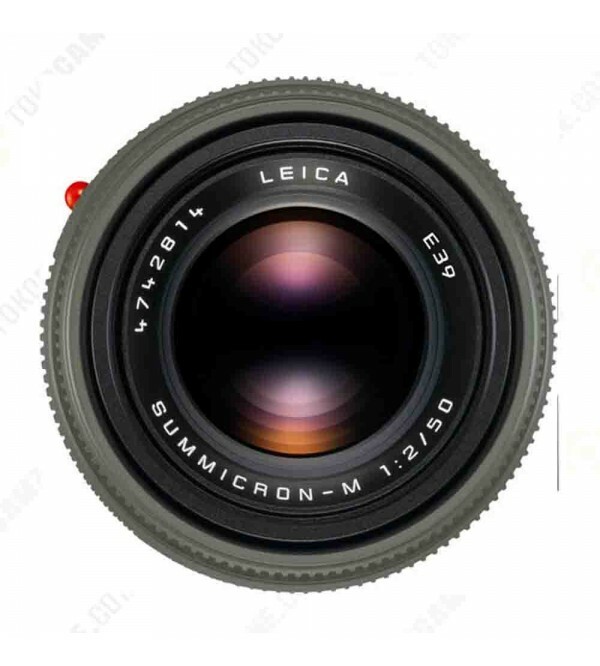 - Versatile normal-length lens features a bright f/2 maximum aperture that benefits working in difficult lighting conditions as well as offers increased control over depth of field. - Six elements in four groups optical design promotes even edge-to-edge illumination and sharpness, as well as high contrast at all aperture positions. - Manual focus design permits working with subjects as close as 2.3' away with a maximum reproduction ratio of 1:11.5. - Built-in extendable lens hood shades and protects the front element to reduce lens flare and ghosting. 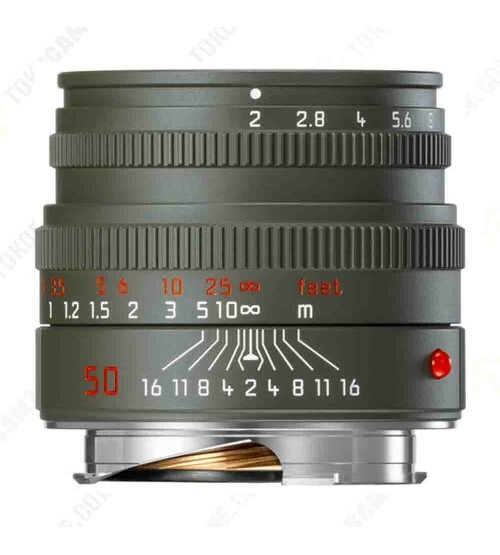 Additionally, the front of the lens is threaded to accept 39mm screw-in filters.